Sheldon Adelson has evidently appointed himself the new crusader against the legal U.S. online poker revolution. Even as New Jersey gets ready for the “soft” launch of its legal online poker operations – which by the way will not include online poker bigwig Poker Stars – the billionaire who owns Las Vegas Sands Corp (no conflict of interest there) has let leak to The Washington Post that he will be launching a major public campaign against legalizing online gambling. 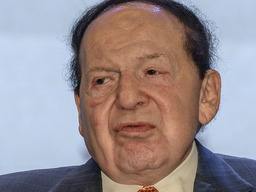 The Washington Post piece revealed that Adelson will launch in January a Coalition to Stop Internet Gambling. He aims to include in the group advocates for women, children, African-Americans, and Hispanics. The bent of Adelson’s crusade will be that legal online poker would exploit the poor, and endanger kids. In a Forbes op-ed that ran last summer, Adelson called online gambling a “toxin” and a “plague” to society. What’s he call land-based gambling? In addition to influencing the 2014 presidential election with this campaign, Adelson also aims to provoke congress to create a federal law banning online gambling before other states follow New Jersey, Delaware, and Nevada’s leads. While Adelson has not disclosed the budget for this crusade to prevent competition for his land-based casino activities, it’s worth noting that he spending nearly $100,000.000 on a recent major political campaign. Though, if we remember right, that didn’t go so well for him. So maybe it’s a good bet this campaign won’t either. Any online gambling site got a line on that yet?